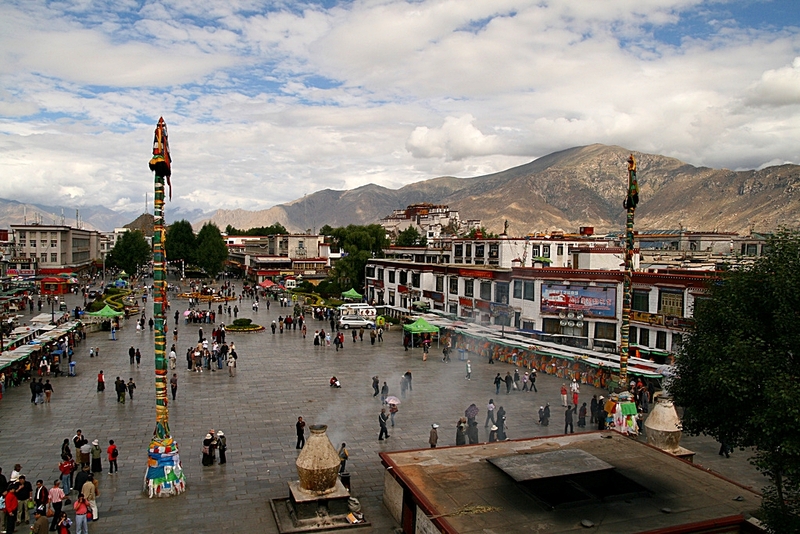 View of Lhasa from Jokhang Temple. (TibetanReview.net, Mar26’16) – China is, through ethnic profiling, preventing Tibetans living in other provincial regions, notably Qinghai and Gansu, from visiting Tibet Autonomous Region (TAR) throughout the month of March and possibly beyond, reported the Tibetan Service of Radio Free Asia (Washington) Mar 24, citing exile sources with local contacts. They are being denied both rail and air tickets after being asked to show their personal IDs. March is a particularly sensitive month in the TAR due to the 1959 Tibetan national Uprising and the 2008 Tibet uprising protest anniversaries. China has been blocking travel to Tibet even by non-Chinese foreign visitors since the uprising protests of 2008. The stoppage is never officially announced. Only travel agents get advance notice not to book tours during the sensitive period. “China is profiling Tibetans and denying them rail tickets from Xining and Lanzhou,” the report quoted its source as saying, referring to the capitals of Qinghai and Gansu provinces respectively. “Besides, no plane tickets are being sold to Tibetans traveling from Sichuan’s capital Chengdu to Lhasa until the end of April,” the source was further quoted as saying. However other ethnic groups faced no such travel ban.